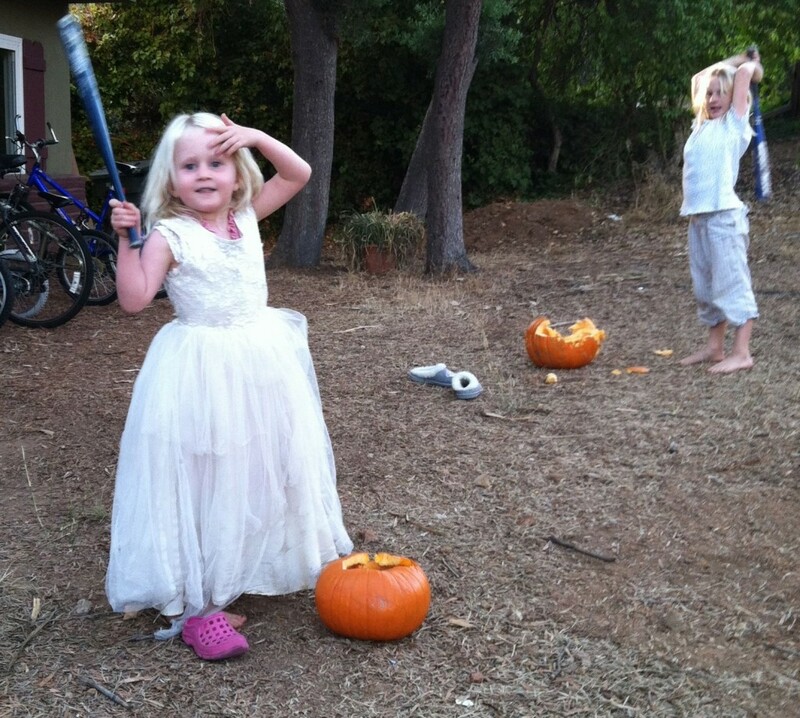 She’s this year’s Pumpkin Smashing Queen. Who was it in 1979? ‘Smashing Pumpkins’ might make a good name for a band. A girl reaches a certain age, she develops…enthusiasms. But in the field, what? Teamwork. He puts one of yours in the pumpkin patch, you put two of his in the pie.